How do you find the ideal career? As a counselor, one of the analogies I use with students is if you could be a kid in a candy store, what kind of candy would you pick? If you could choose any career and you already had the skills, knowledge, education, and experience to do it, what would you choose and why? It’s important to block out any doubts, fears, or limiting voices in this process, the subversive inner critic many of us harbor who says, “Oh, you can’t do that because you don’t have . . .” At this stage, we’re not trying to look at how realistic a career is or how long it takes to get into it. There will be time for that later. At this stage, we are only trying to find something that tastes great. 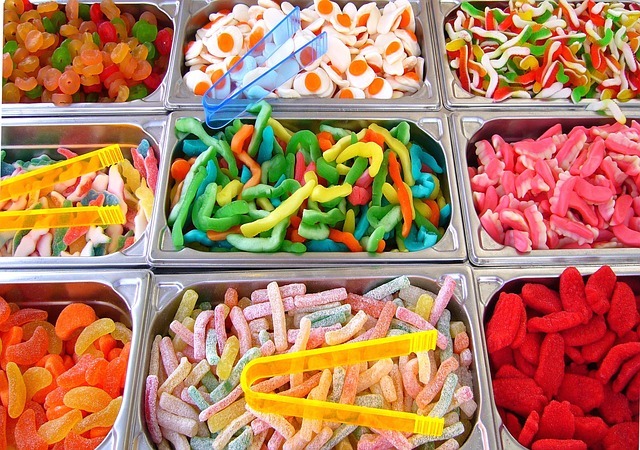 There may be all kinds of candy in the store, but we want the one your taste buds are salivating for. Your critic might be saying, “But how much will that candy cost?” Pretend it’s your birthday, and your mommy has decided to buy you whatever kind of candy you choose. As an example, I am a counselor. I’m also a writer. If I could be a kid in a candy store of careers, I would go back to the 1970s and 80s when a TV show called M*A*S*H was running. This comedy/drama took place during the Korean War and it depicted the people serving in a Mobile Army Surgical Hospital. These people tried heroically and tragically to save lives in the midst of war. Hawkeye was a skilled surgeon with a piercing wit and a heart as big as his ego. Trapper John and then BJ were Hawkeye’s sidekicks in crime, doing anything and everything to antagonize the bumbling Frank Burns, then the more cultured Charles Emerson Winchester III. “Hot Lips” started as Frank’s illicit soiree away from his wife, but over the course of the show, she evolved to become a strong, yet compassionate head nurse. Radar was a naïve corporal who kept the whole operation running. Klinger dressed as a woman to try to get booted out of the military. Colonel Blake was a fisherman in disguise as a leader. And Colonel Potter was an old-school military man who kept his camp loose and efficient at the same time. Over the course of watching this show, these characters, fictional people, became real to me. The actors brought these characters to life but what amazes me is how the writers created these characters. They took a concept with outlines and scripts and fashioned a world that was as real to me as the friends I went to school with. That’s the power of good writing. To be in a team of people working together to create something they believe in: a TV show such as M*A*S*H, The Wonder Years, or Smallville, a motion picture such as Kramer Vs Kramer, Dead Poet’s Society, or Star Trek: The Wrath of Khan, a book such as Clan of the Cave Bear, Catcher in the Rye or The Glass Castle. To tell a heroic or worthwhile story. To entertain and shine a light on the problems that plague us. To give us hope that the struggle is worth it. That’s what writers do. That’s the candy I would choose.